Faust Wine was created by the founder of Quintessa Winery to capture his passion for the making of Cabernet. This label redesign captures Quintessa's passionate wine-making spirit through hand-lettering and custom illustrations. The story of Doctor Faust is one of greed, temptation, and forgiveness. It all began when Faust made a bargain with the Devil's messenger, Mephistopheles, for eternal youth and all worldly knowledge. His passion for the sciences outweighed his passion for theology, and his constant greed for more led him down a dark path. After falling in love, Doctor Faust wanted to leave his bargain and follow his beloved to the grave. Each label chronicles a different part of Doctor Faust's story; the Lure, Faust, and the Pact. The tangled illustrations on each label draws inspiration from the grapevines of a vineyard. They draw sultry and dark shapes while pulling the eye to the center of the label. The typography on the label is a modified black letter font that pays tribute to the original story of Doctor Faust from the early 16th century. 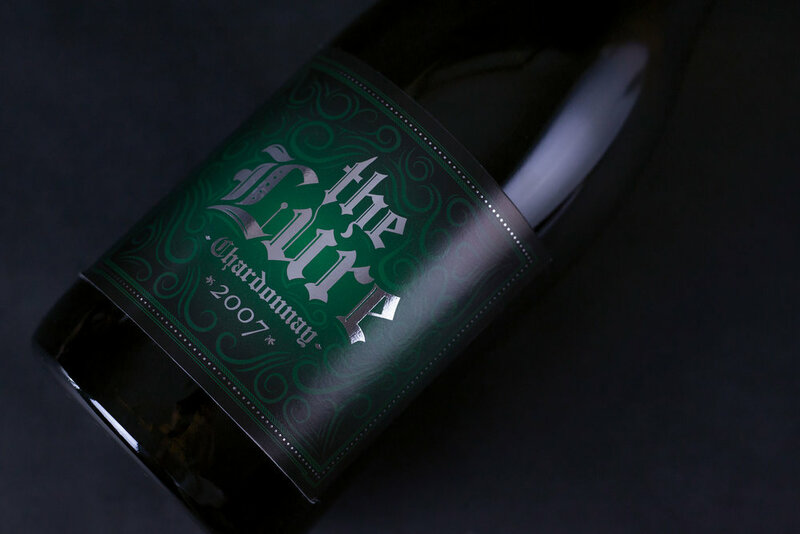 Gold and silver foil indicate the premium nature of the wine, and sealing wax completes each bottle.